Welcome to the Wild Wild West, where heroes on horseback are the rule makers and the damsels in distress are irresistible. 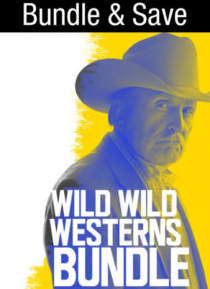 Wild Wild Westerns film collection stars versatile, eclectic star Scott Eastwood, veteran actor and director Robert Duvall and super talented James Franco. Inspired by the tales of good vs evil of the old west, watch these future classics unfold.